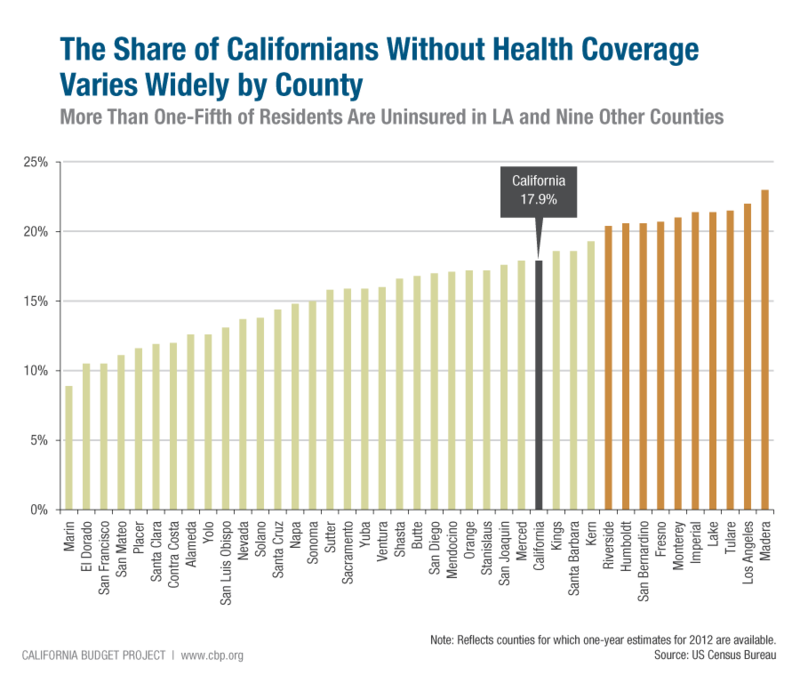 Since President Obama signed the Affordable Care Act (ACA) in 2010, California has taken a number of steps to fulfill the promise of federal health care reform for the millions of Californians who lack access to affordable health coverage. 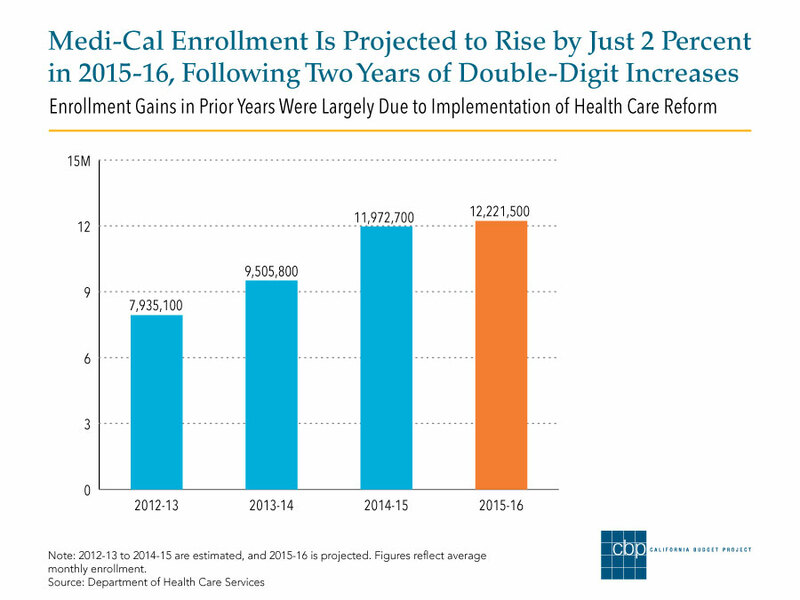 With health care reform set to take full effect in 2014, the next big step is just around the corner: the expansion of Medi-Cal coverage to low-income adults under age 65 who currently are excluded from the program. This group includes nondisabled adults who don’t have children at home. It also includes parents who do have kids at home, but who lose access to Medi-Cal when their incomes rise more than a few percentage points above the federal poverty line – currently $19,090 for a family of three. Low-income adults under age 65 are much more likely than other Californians to lack health care coverage, as the following chart shows. The ACA requires states to expand their Medicaid programs to cover most people with incomes at or below 138 percent of the poverty line – currently $15,415 per year for an individual or $26,344 for a family of three – beginning on January 1, 2014. The federal government will pay 100 percent of the cost of the expansion for the first three years, gradually reducing the federal share to 90 percent of the cost in 2020 and beyond. However, the Supreme Court’s landmark decision on the ACA this past June limited the federal government’s ability to compel states to implement the Medicaid expansion as envisioned in the health care reform law. As a result, some states wondered whether they could limit their expansion of Medicaid by setting a threshold below 138 percent of the poverty line and still expect the federal government to pay all of the cost from 2014 to 2016. This week, the Obama Administration provided an answer: No. As a result, a partial Medicaid expansion is not in the cards in the near term as health care reform continues to move forward in California and other states. Governor Brown is expected to call a special session of the Legislature for early 2013 to address a number of remaining health care reform issues, potentially including the expansion of the Medi-Cal Program. We’ll have more to say about all of this in the weeks to come. But for now, it’s clear that expanding Medi-Cal can’t come soon enough for low-income adults who lack affordable health care options.